Things are pretty hot here at Rickshaw Run HQ. We have coconut pancakes, all ready to sizzle streetside. We have Japanese drummers, ready to beat out their spine-tingling rhythms. Best of all, we have a veritable garrison of amazing volunteers who have put their hand up to deliver this community event. I am truly touched by your support and cannot wait to share a bowl of noodles (and a beer!) with you. 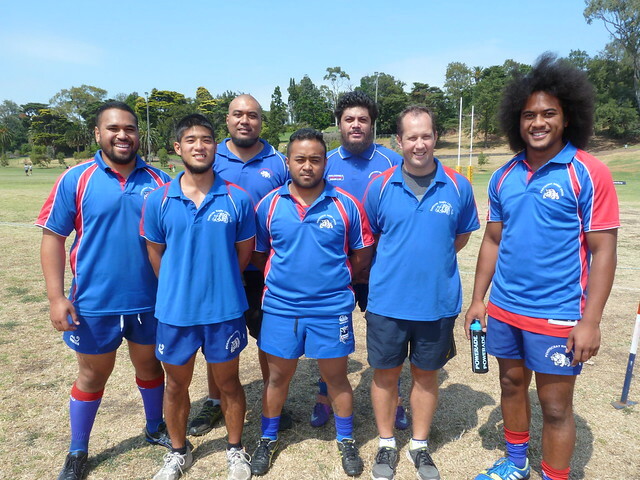 A massive thanks to the Footscray Rugby Union Club who are demonstrating their commitment to the community by sending eight of their best players to pull rickshaws. I went to the club's Gala Day on the weekend and was really impressed by their community values, professionalism, and club spirit. I also got to sample some special Bulldog fare - but that's a story for another post, which is coming soon! In the meantime, check out the Club's website and Facebook page. 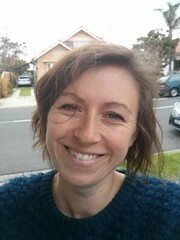 We have some really special guests this year, including Niamh Shields of "Eat Like a Girl", who is coming all the way from London to check out Footscray. There are guests from as far afield as Dunedin, New Zealand and Michigan, USA. We also have Footscray's first family, the Cavallaros, riding with us! And volunteering we have everyone from a federal senator (thanks Janet Rice!) to artists, barristers, spice merchants, veterinarians and not one but two published authors. Our rickshaw pullers are split 50/50 women and men, which I find extremely awesome. How I love our diverse and delightful community. Our volunteer roster has an enormous 128 spots which are now FILLED. WESTIES - GIVE YOURSELF A HUGE PAT ON THE BACK! However, if anyone out there is still keen and wants to go on the back-up list in case of illness or other issue for our existing volunteers, I would really appreciate that. 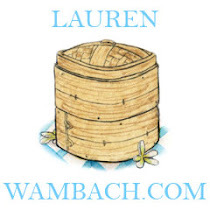 You can call me on 0438 583 808 or email lauren@laurenwambach.com. Finally, I have a small amount of TICKETS STILL AVAILABLE for the Rickshaw Run. Please contact me via the methods above if you would like a last-minute ticket to ride! Keep up the good work, Lauren. You're such a star! Hello! I am a Footscray resident and very keen to support the west but was just curious about whether this event makes a profit, and if so where this goes? Hi anon! That is a good question which I am happy to answer. The Rickshaw Run is not for profit. 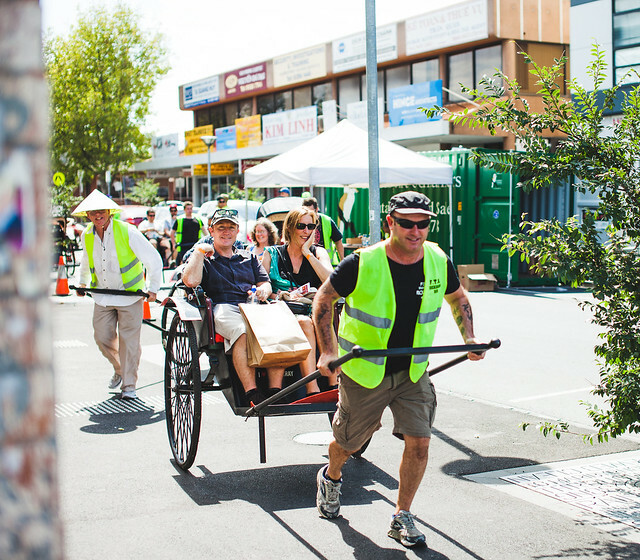 It is run by the Footscray Traders Association which is a not-for-profit community entity, made up of Footscray traders with the aim of advocating for the suburb. Footscray Traders Association membership is free and open to all traders in the area. 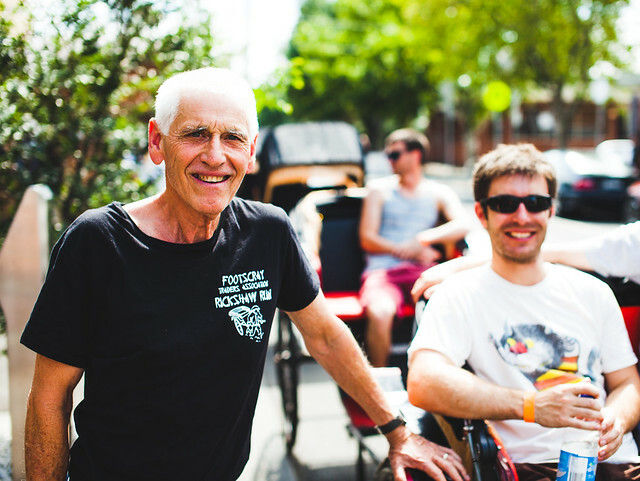 For the 2014 Rickshaw Run, we have a strict budget where total ticket sales directly correspond to expenses. I hope that clears up any queries. Shakes and burgers in Footscray!